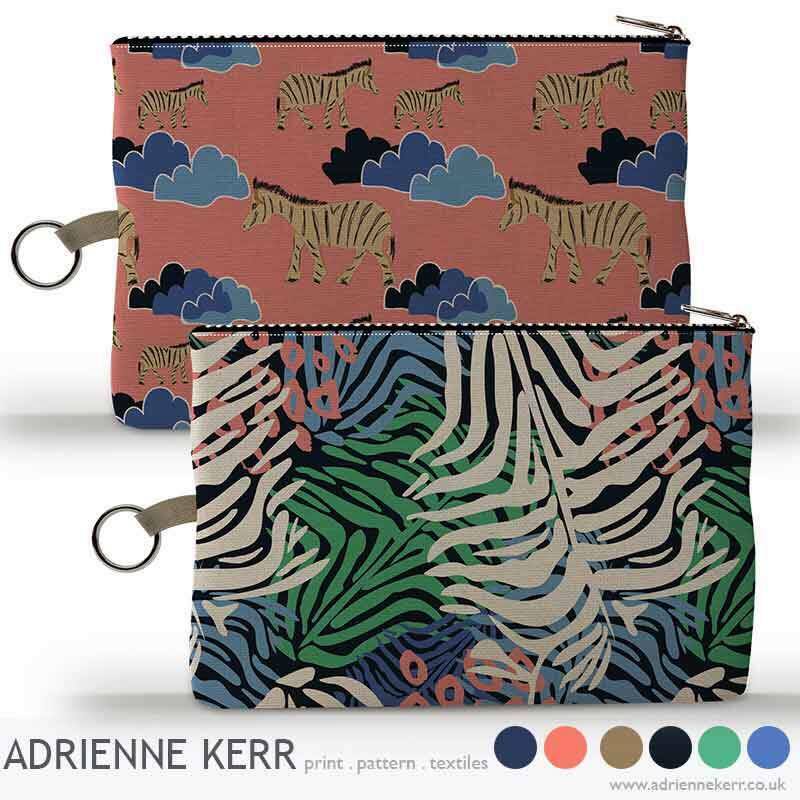 I'm Adrienne Kerr, Textile Designer based in Scotland. If you could give your 10-years younger self one key piece of advice or an insight, what would it be? I would tell myself to enjoy every part of the process, as one experience leads on to the next opportunity. When I feel in a rut or I have come to the end of a project I usually put my coat on and head out on a bus into Edinburgh, its a fabulous city which really is brilliant if you are a creative person. I will head to The Botanic Gardens typically or The National Museum on Chamber Street. The galleries are also a great source of inspiration for me, as well as a bit retail therapy where I feel inspired with all the gorgeous new seasonal trends & patterns. My favourite design tools are a sketchbook, hb pencil, eraser & sharpener. I always tend to sketch things lightly in pencil first before I touch my coloured pens/pencils/black liners or do anything digitally. My design process is fairly traditional. I have a large white pinboard in my studio which I use as a mood board and I build that up with inspirational pics and tear sheets as I progress with my project. When I'm finished I do a big clear out ready to start again! I have been freelancing for a company in Glasgow and I have had designs which have sold in New York, Australia & LA for the fashion market. Although with fashion prints I don't always get told who the client is, so I will just need to keep my eyes open to see if I can spot any of my prints in stores in the next year or so. I would love to have a range of products in Target stores. It is by far my favourite store and I just love the products they offer. Sketchbook, pencil and a black fine liner pen. I guess I would need to do without the eraser and live with my mistakes. Its a cliche but like many designers nature. Too many to say but I personally have always admired Zandra Rhodes who is a living legend for British Print Design. When I'm long gone, I hope people remember me for being an original, hard working designer who is passionate about her own work and that of others.